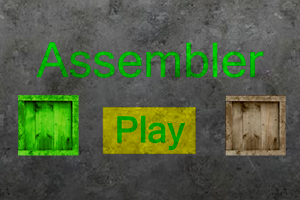 Samgine has just published the fourth in the Assembler series of physics puzzle games. If you enjoy the “stacker” style, spatial awareness and logic games these are for you. These games offer a relaxing way to have you thinking spatially and have the added twist of gravity to contend with. They are easy to pick up so don’t be put off by any complex set of rules to grasp. Your score is based on how long it took to complete each level and how many times you had to click. Samgine has also added a mobile version of the game for playing on Android 2.2 smartphones, but is also playable on a computer. Note that it requires a minimum flash player version of 10.1. These type of puzzles games can be great for kids to play to develop their non-verbal reasoning skills. For example, these are a fun way kids in the UK sitting the Eleven Plus to build their ability to solve non-verbal reasoning questions.